For an unforgettable journey spiced with color, laced with luxury and overflowing with fabulous experiences, nothing can compare to a private jet vacation to the exotic northern shores of India. 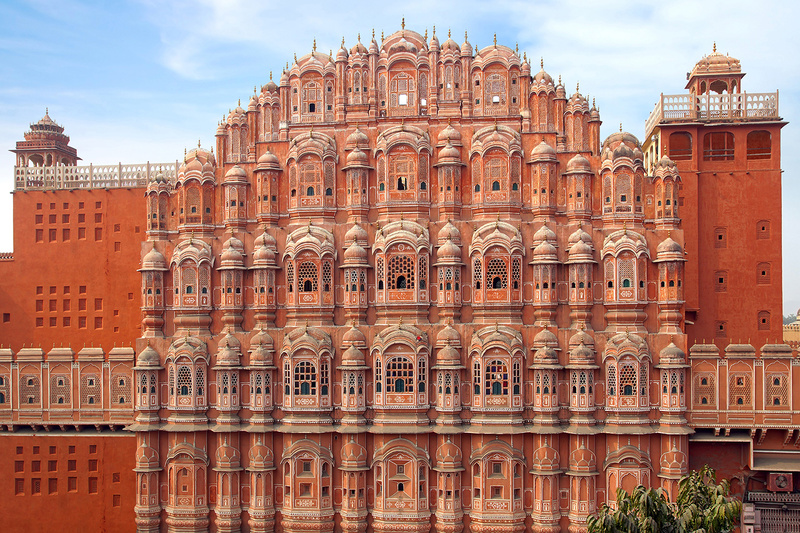 The pink city of Jaipur blushes like a rose beneath the gold and cream sunset and is certainly a welcoming sight as you step from your private jet. 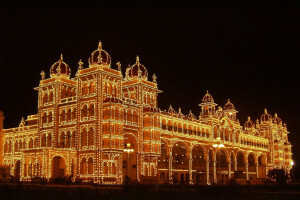 The delightful city is full of charm, glittering glamour and rolling emerald hills. Rainbow painted elephants trundle down the streets, snake charmers play soft music and everywhere you look there are latticed palatial grounds, silky hanging fabrics and bright and buzzing temples where ancient rituals are performed. For an unrivaled experience take to the air with a romantic balloon ride over the candy coloured city as the sun rises above the Rajasthani hills. The City Palace is the place to see with a glass of cool champagne in hand. You can tour the ornate grounds, the sparkling silver and the rich textiles that cover every surface. Dining at the Palace provides another moment soaked in luxury and littered with rose petals and exotic dishes to tempt your taste buds. Sitting pretty in the sweltering desert heat beneath a thousand stars you will find the blue city of Jodhpur. 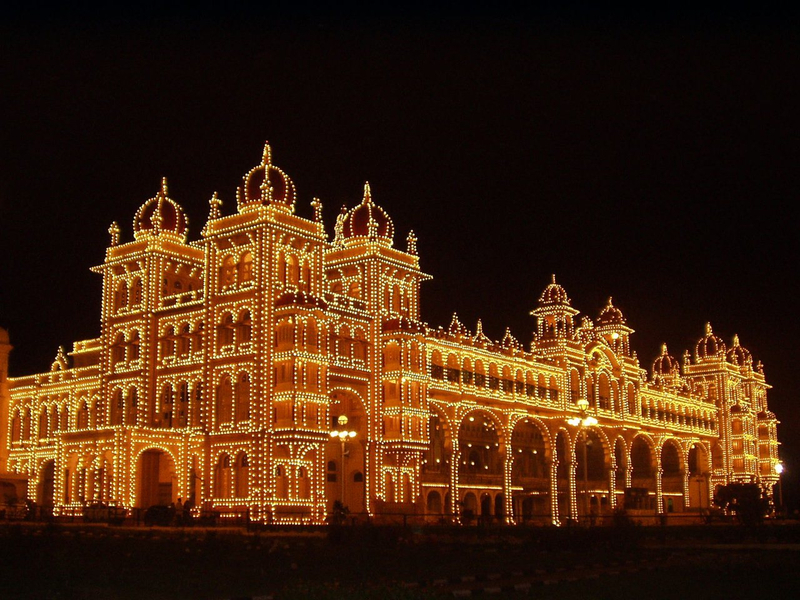 This is the place of princes with its sapphire coloured buildings, its glistening spice markets and its lush landscaped gardens. Beautiful glass bangles and bright embroideries are begging to be taken home, and whizzing around the city on a traditional rickshaw certainly paves the way for plenty of fun. 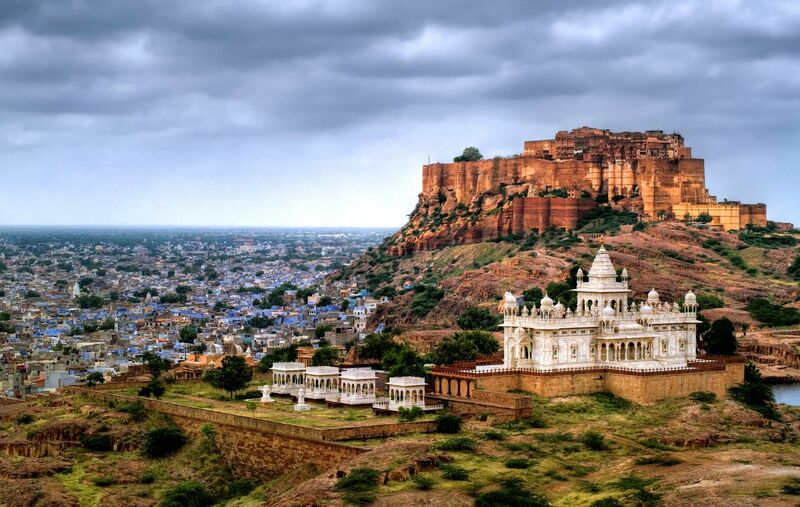 The iconic Meherangarh Fort towers over the city of Jodhpur and is an extraordinary sight to behold. Rudyard Kipling called it the work of giants and with its looming gates, carved intricacies and rooms adorned in splendour it is without a doubt a true wonder of India. Living like royalty the Indian way can be done in style at the Umaid Bhavan Palace. Marble and teak décor, sweeping galleries and views that face the royal gardens where you can admire the strutting peacocks makes for the perfect stay. Diamond lakes, evocative palaces perched on water and heavy carved doorways make Udaipur one of the most romantic cities in the whole of India. The Aravalli Ranges shimmer hazily on the horizon and the sound of spiritual chants from the temples echo cross the fields where women wrapped in the brightest silks work the land. Stand in awe at the Ranakpur Jain Temple with its thousands of pillars carved with love and care, see the glittering Crystal Palace with its crystal beds, tables and lavish furnishings and visit the City Palace with its finely crafted exterior and affluent décor hidden by the oversized doors. India is a majestic jewel where your every sense sparks to life, the clatter of the bright and bustling markets, the children racing through the cramped streets and the lofty palaces, ancient wealth and unbridled luxury are waiting to tempt you. Let us take you there in the utmost comfort and style of a private jet of your choice by calling us at 754.200.3000 to learn more about these fascinating Indian cities.